It’s a simple mistake to make – eating someone’s beloved pets. It could happen to anyone, even in the depths of Subnautica, as one unfortunate player discovered. Thinking of diving in? Make sure you are not out of your depth with our Subnautica guide. 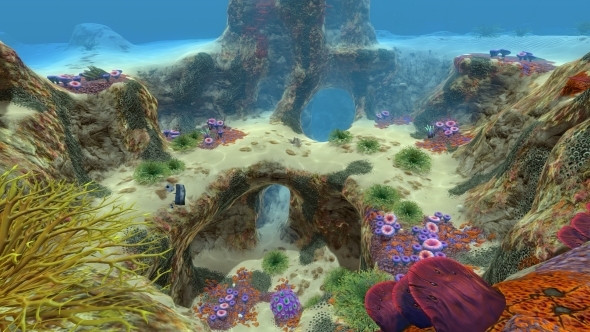 Twitter user Indoor Snowman revealed that, while they were playing underwater, creepfest Subnautica, they found one of the game’s many time capsules. Time capsules are containers that players can put items into alongside a customised message. These capsules can then be found by other players in-game, with the finder being able to keep the time capsule’s contents. Unfortunately, Indoor Snowman did not realise time capsules contain a message when they stumbled upon one full of fish. That’s right, Indoor Snowman ate someone’s cherished pet fish. Every last one. Other Twitter users were horrified by the admission, justifiably branding Indoor Snowman a monster. Don’t worry, though. Time capsules can appear in several player’s games and it seems at least one person did right by Oswald, Martha, Greg, Sarah, Peter and Harry.